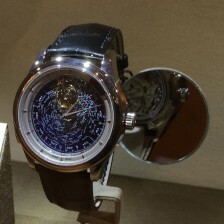 Home » What Is The Best Watch Under $1,000? Like most things, it depends. In this case, it depends on how you prioritize brand, quality, value, technology, etc. But I will attempt to answer this question just as I would in person. “Best” means “highest quality and most prestigious” not “highest/newest technology” in which case the answer is Citizen, Seiko, or Apple. “Under $1,000” means “close to $1,000 street price for many models without going much over” not “absolute best value for the money” in which case the answer is Orient. Most watch enthusiasts prefer Swiss or German watches, mechanical movements, and a prestigious name. Most lists of “Best under $1k” start with brands like Hamilton and Tissot, which span that price line but offer many excellent choices that tick all the boxes. A Hamilton Intra-Matic is an excellent Swiss automatic watch with history, great looks, and reasonable respect for under $650 street price. If you want something sportier, Tissot’s Seastar is another great automatic that can be bought well under $1,000. On all counts, avoid fashion brands best known for non-watch products (Gucci, Guess, Armani, etc) regardless of how much you like the brands generally. They’re not worth what you pay. And most watch enthusiasts avoid Invicta, Diesel, and similar brands despite the fact that there are some nice models and daring designs to be had. It might be tempting to buy a vintage watch, since you can often find these well under $1,000 from the best brands in the industry, including Omega, Jaeger-LeCoultre, Zenith, and even Rolex! But anyone asking this question should steer clear of a vintage watch unless they have an expert to assist them in the purchase. It’s easy to get ripped off, buying a junker needing a major overhaul, a “Frankenstein” with incorrect parts, or a straight-up fake! My short answer remains the same: You can’t beat Hamilton or Tissot on value, design, and history while staying under $1,000. Note: These images link to Amazon.com to show that street prices for these watches really are affordable. But most Amazon.com watches are “grey market” and do not come with the original manufacturer warranty. If the warranty is important to you, find an authorized dealer and negotiate the price downward. They will be more expensive, but should come close to these Amazon prices.